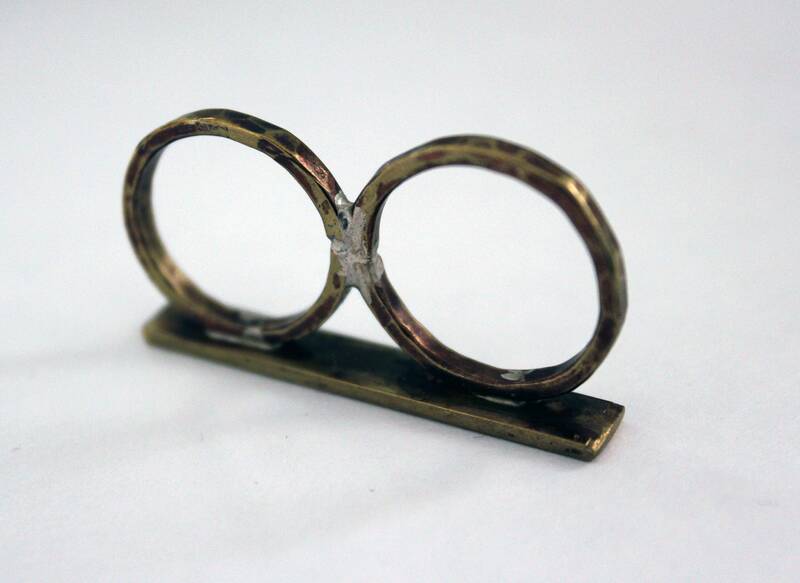 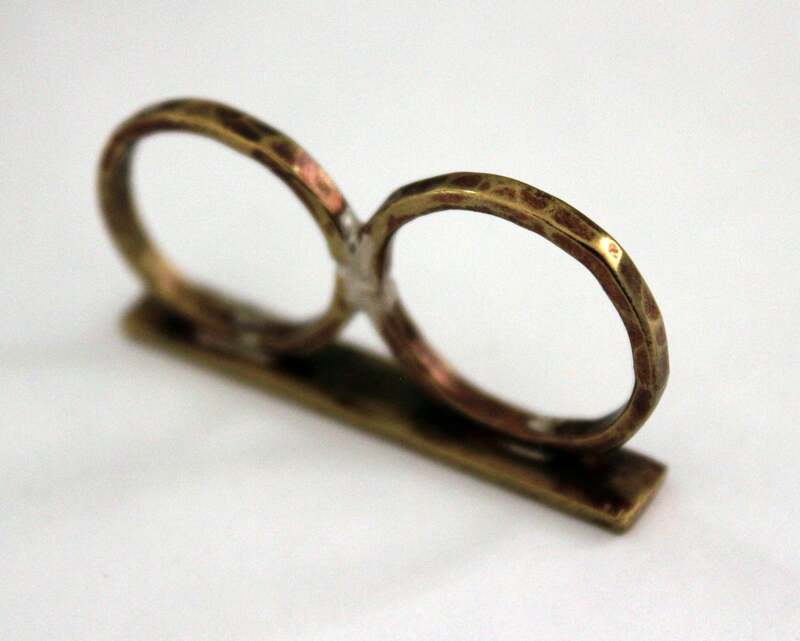 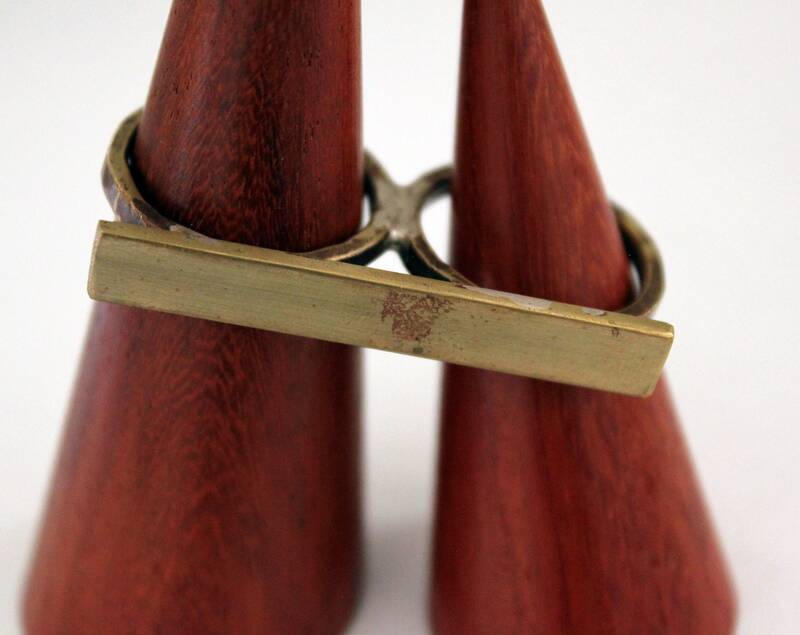 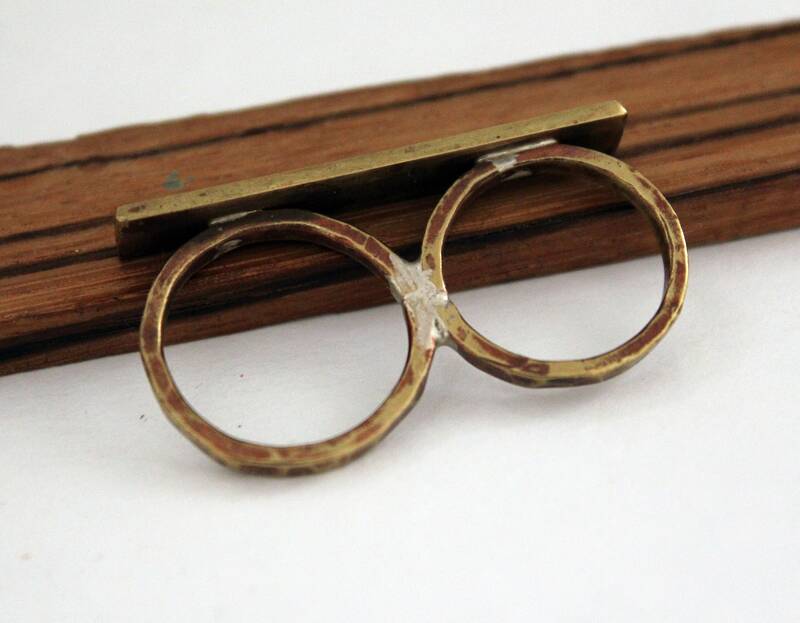 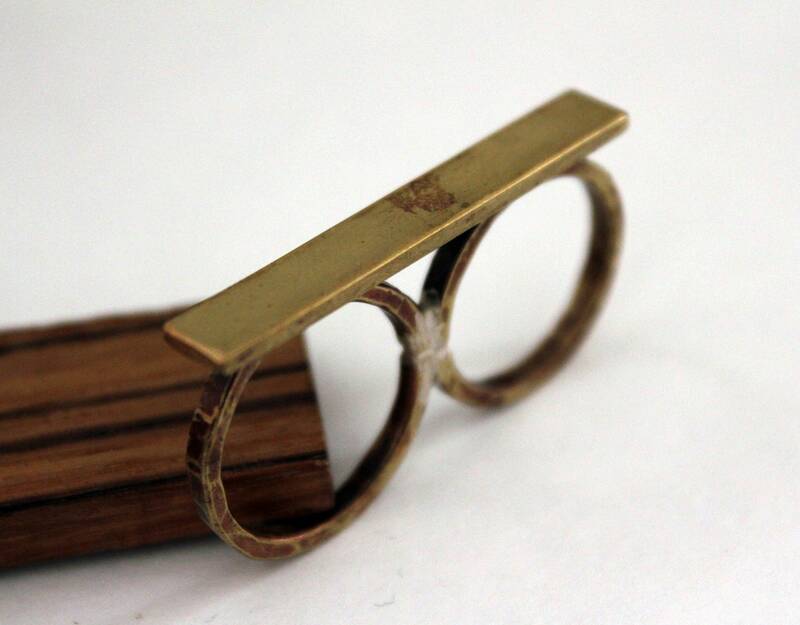 I use beautiful golden colored brass and carefully hand cut, form, solder and finish to create this one of a kind double ring. 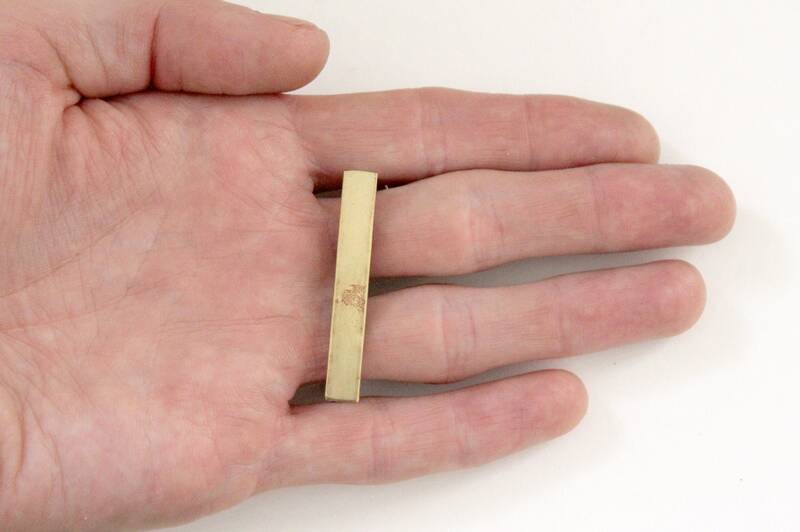 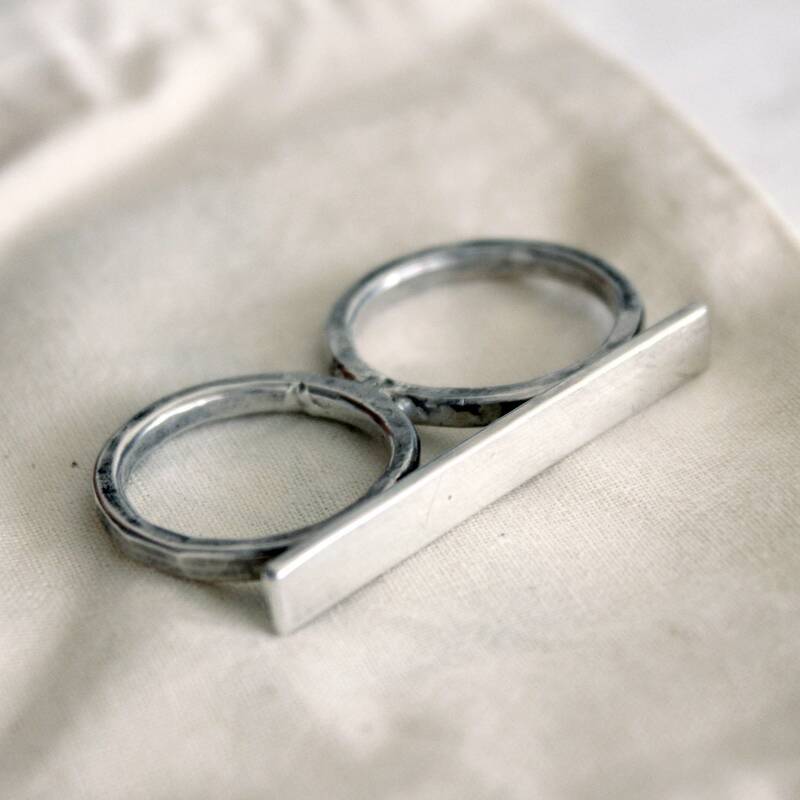 The top bar is about 7mm wide, each of the rings is about 2.5mm thick. 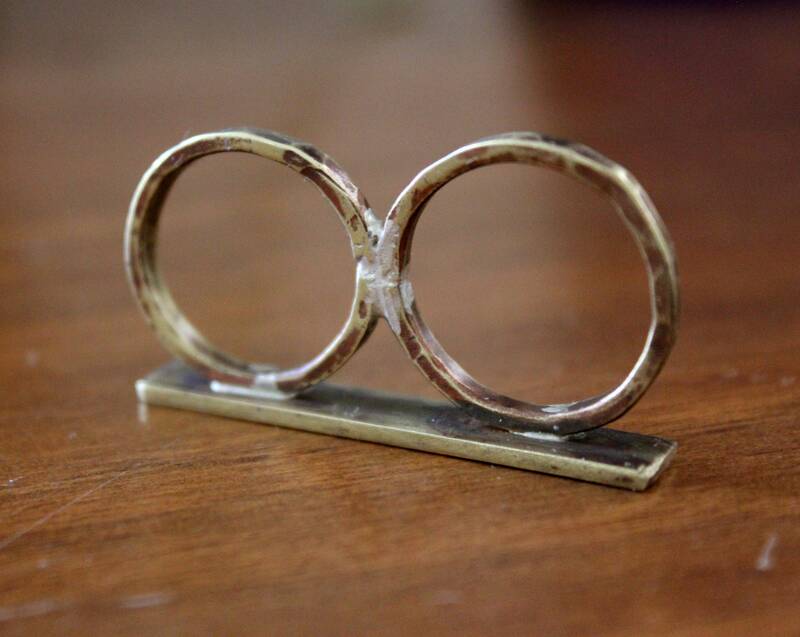 I can make your ring to any size. 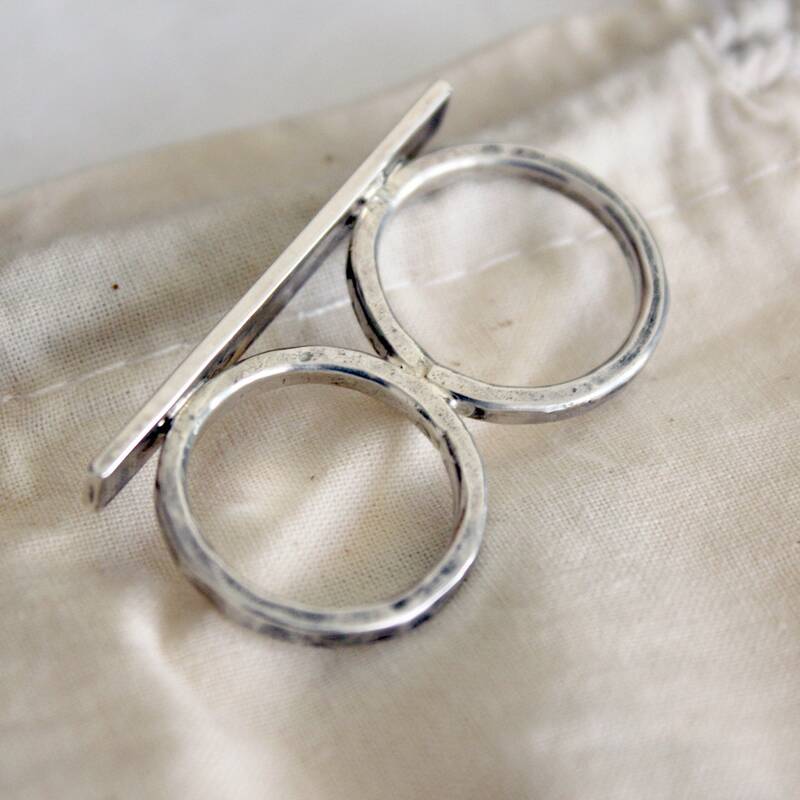 This is also available in sterling silver.